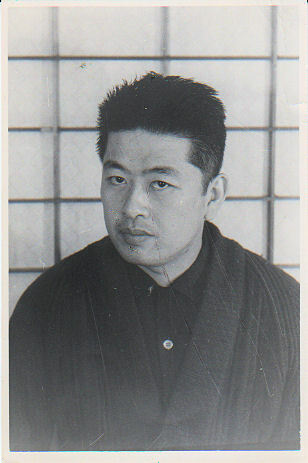 Masaaki Hatsumi (b. 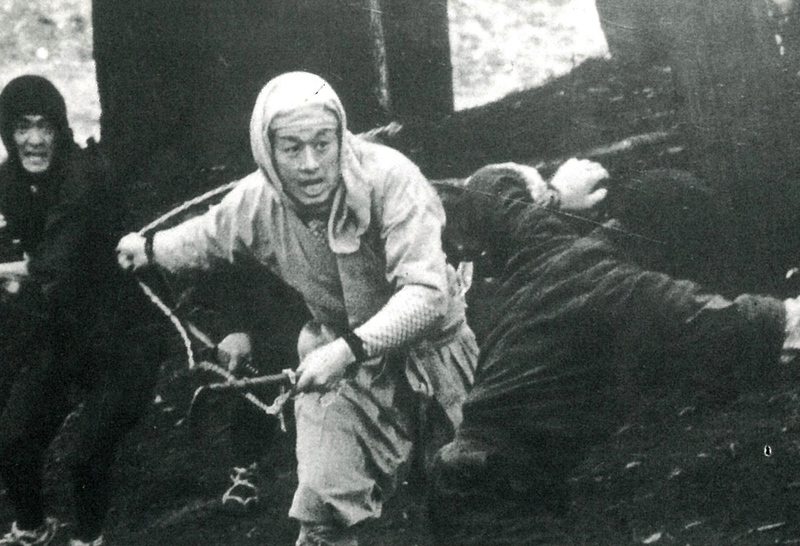 2/12/1931 – Yoshiaki Hatsumi) was born and raised in the city of Noda in Chiba Prefecture, Japan. Hatsumi Sensei begun his martial arts training early on in life, first with Kendō at the age of seven, later Karate and Judō, Western Boxing during the post WW2 ban on martial arts training in Japan, before moving on to older forms of martial arts (Kobudō). He also captained his High School soccer team, as well as studied Ballroom and Japanese Dance. I was a 4th dan in Judo, I guess, over 20 years old, I went to the U.S. military base camp to teach judo. There I realized one reality that surprised me. One day when I gave them training, I was defeated by an unexpected waza (technique). Since they were soldiers, they knew a lot of real fighting waza, and they maybe combined various waza and used it with their whole energy. When I faced it, I realized that one cannot survive by Japanese budo as sport. I realized if we continued this type of budo, we could not use it in real battle. Then I did everything I could. I studied every ancient budo and everything called budo in Japan, not only with my body but with my brain. Around this time Hatsumi Sensei studied with various well known martial artist of that time and following this, Hatsumi Sensei in 1957 progressed to train with Toshitsugu Takamatsu in Kashiwabara City in Nara Prefecture who took him on as a personnal student. “I went to see the master that everyone spoke to me about. He was seventy years old and I was twenty-six and full of confidence. I entered with care and with a certain anxiety, but he soon told me to relax. During the following years I trained with him every weekend. The anguish that I experienced provoked by his ability was certainly different from any previous one. I had only experimented some cold sensations, this was something much warmer. It was like an internal explosion- I do not know exactly how to explain- it was as if all my blood had been extracted and someone was attempting to kill me afterwards. It was a combination of multiple sensations that could not pinpoint its source. I knew that this was what I was looking for. I asked him to be his student, this was in 1957 and at that time he was not taking students. However, from that moment until the time he expired he taught no one but me. Some people received manuals and opened schools with similar names, but I was the only fortunate one to have learned personally with him. I was chosen as his successor, so to speak. At that time I was still in Noda and had a practice to mend broken bones. I would leave home at the weekends to train with my master and would return home Sunday evenings. This went on for fifteen years until master Takamatsu died. With master Takamatsu I learned a lot but above all as he used to say ” If you do not want to die, work to survive, it is not a sport in which you lose or win, it is a question of life or death. You have to survive this is Budo. This was particularly true with the Ninja, those that were spies, without learning to survive they could not complete their missions”. Following Takamatsu Sensei’s passing on April 2nd 1972, Masaaki Hatsumi founded the Bujinkan Dojo, teaching the traditions passed down from his teacher. From a small training group in Noda, the Bujinkan (known more commonly then as Togakure Ryu or Ninjutsu) grew rapidly and Bujinkan Dojo began to appear in dozens of countries. From 1982-2003 Hatsumi Sensei travelled extensively to Taikai training events which were held the world over, and continues to teach three times a week in his Dojo in Noda, Chiba and Ayase Budokan, Tokyo, where hundreds, if not thousands of students from Bujinkan Dojo around the world journey to train with the living martial arts legend. His own personal students, some of whom have been continuously training since the 1960’s, also pass on their own extensive knowledge to their own and visiting students including Seno Hideo Sensei, Ishizuka Tetsuji Sensei, Noguchi Yukio Sensei, Nagato Toshiro Sensei, Someya Kenichi Sensei, Keiji Nakadai Sensei and Hiroshi Nagase Sensei. Internationally Bujinkan Dojo can be found the world over, with instructors continuing to return to the source and train with Hatsumi Sensei and his students, and disseminate his martial art back home. The Bujinkan Shugyou Dojo is one of these numerous international Dojo; based in Dublin, Ireland our goal is transmitting as accurately as possible the feeling and knowledge of Bujinkan Kobudō as taught in Japan.